UK flights to hurricane-hit New York and the US east coast are generally back to normal. On Thursday Virgin Atlantic ran its normal schedule of four flights to New York and was also flying its usual service to Newark, New Jersey, Washington DC and Boston. A Virgin spokeswoman said onThursday: "We flew an extra flight to America yesterday to clear the backlog and we are gradually getting the held-up people home." Only one of the 11 daily flights that British Airways offers to New York did not run yesterday. The airline's services to Newark and other destinations on the eastern seaboard were normal. 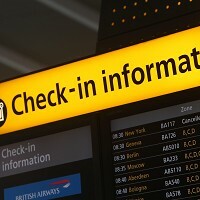 To cope with the backlog of passengers, BA was offering an additional flight to Newark and has placed extra ticket machines at New York and Newark airports to help speed up the rebooking and check-in processes. "We would like to thank our customers for their continued patience and understanding," a BA spokesman said, adding: "Customers should continue to check ba.com for the very latest information."